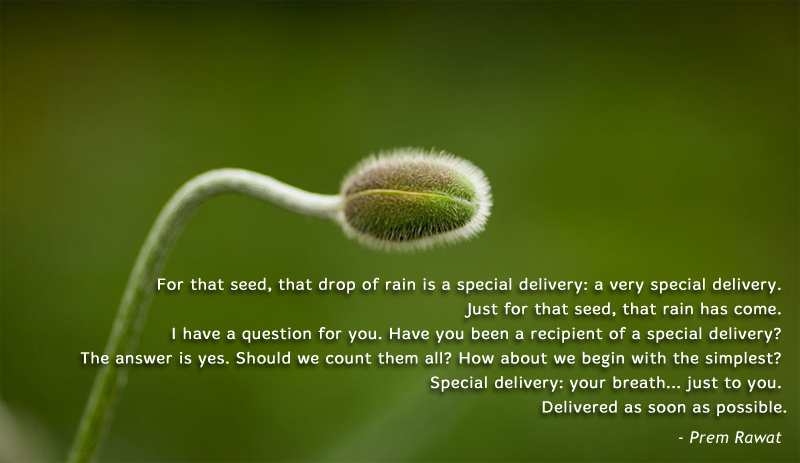 For that seed, that drop of rain is a special delivery: a very special delivery. Just for that seed, that rain has come. I have a question for you. Have you been a recipient of a special delivery? The answer is yes. Should we count them all? How about we begin with the simplest? Special delivery: your breath... just to you.